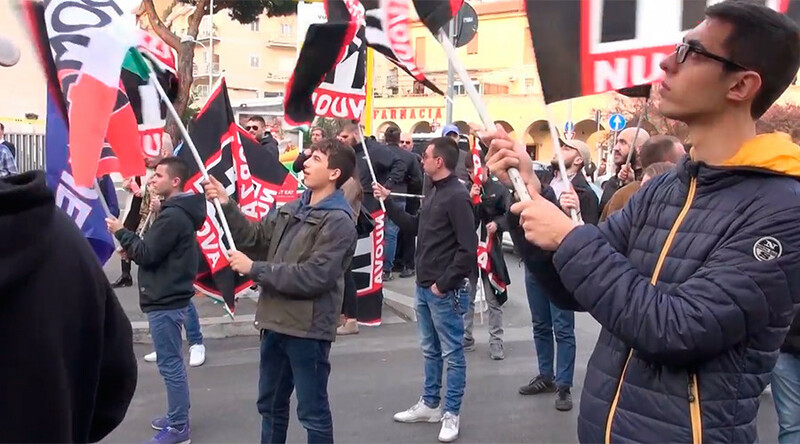 A crowd of far-right activists waving banners that read “F**k EU” protested “tyranny in Brussels,” blaming eurocrats for inflicting poverty, austerity and uncontrollable migration upon Italians as Rome marks the 60th anniversary of a landmark European treaty. The timing of the so-called “march against tyranny” that is due to continue on Saturday in central Rome, has been tailored to the pompous celebrations of anniversary of the landmark EU treaty, signed in 1957 in Rome. The treaty established the European Economic Community (EEC), a predecessor of the EU. The protesters, however, argued that the “dictatorship” of unelected EU officials over sovereign states is nothing worth celebrating. “They want to replace both the Italian and European people with Third World people. We say, ‘No. Enough. Stop,’” one of the protesters told RT’s video agency Ruptly, arguing that the Italian government should focus more on the needs of Italians. “The government should care for only the Italians. It should create policies for Italian families, social policies for Italian families, social rights and it should defend our identity,” he said. 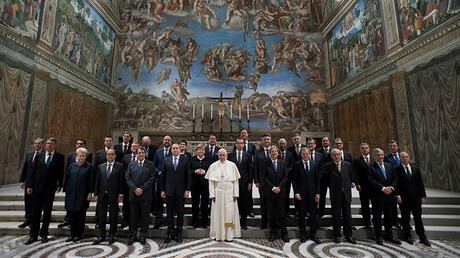 In sharp contrast to the sentiments voiced in the streets, Pope Francis, who welcomed the representatives of the 28-nation bloc in his Vatican residence on Friday, has denounced the anti-immigrant and anti-EU rhetoric that has been on the rise across Europe. He urged the EU leaders not to see “danger” in refugees fleeing war, poverty and persecution and instead welcome their contribution to the European culture.